Run! Forrest! Run! Darn it, I wasn't quick enough. I was found battered and bruised by a kind lady that brought me to M'Shoogy's for medical care. Living on the streets is tough and dangerous. Looking at me now you would never know I have had a bad day in my life. 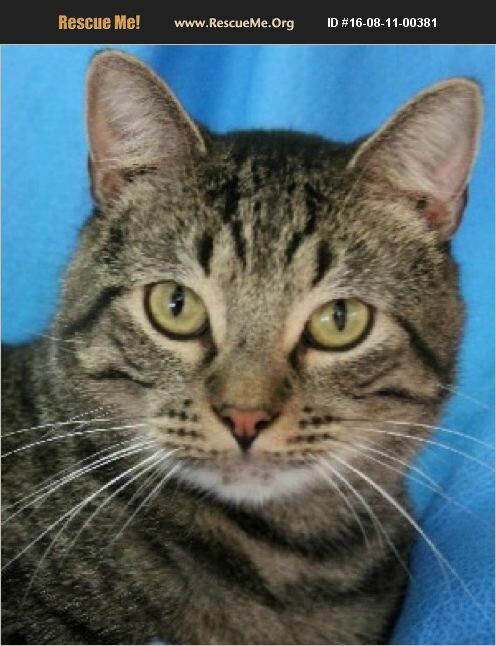 I am a friendly handsome guy looking for a loving person to make me a part of their family. I am FIV+, but I am happy and healthy. I don't think of myself as special needs; more like extra special. Due to my FIV+ status, all of my vet care will be provided free of charge at Angel's Vet Express.